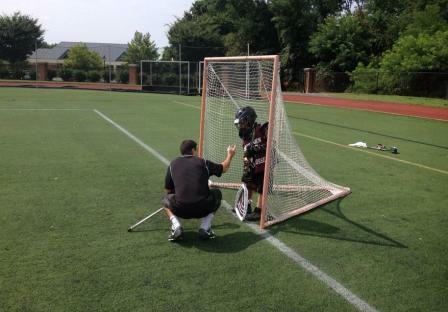 Jeff Shirk Lacrosse Camps are dedicated to helping young lacrosse players realize, develop, and achieve their goals. All campers, beginner and advanced, will be guided to reach their full potential in the game of lacrosse. We emphasize individual instruction and keep our camper to staff ratio at a low 7 to 1. During our summer camp, each camper receives a personal training session where they work one-on-one with one of the camp counselors to improve their skills in their specific position or learn which position might be right for them. Campers will benefit from the expert instruction of Jeff Shirk, other Washington College coaches, and some of the best college lacrosse players in the game today. Jeff Shirk played at the collegiate level for four seasons at the University of Maryland, the professional level for three seasons in the National Lacrosse League (NLL), and has been coaching at the collegiate level since 2001.